Great curb appeal and move in ready! One level living and cute as a button. This home has been lovingly maintained and is a super clean charmer. The covered front porch greets you as you step into the spacious sunlit living room with gas fireplace for those chilly evenings. This cozy 2 bedroom with good storage will not disappoint. Neutral paint throughout. Original hardwood floors ready to be exposed under the newer neutral wall-to-wall carpet. Marble window sills adorn the newer windows. Eat in kitchen with plenty of counter space for food prep. 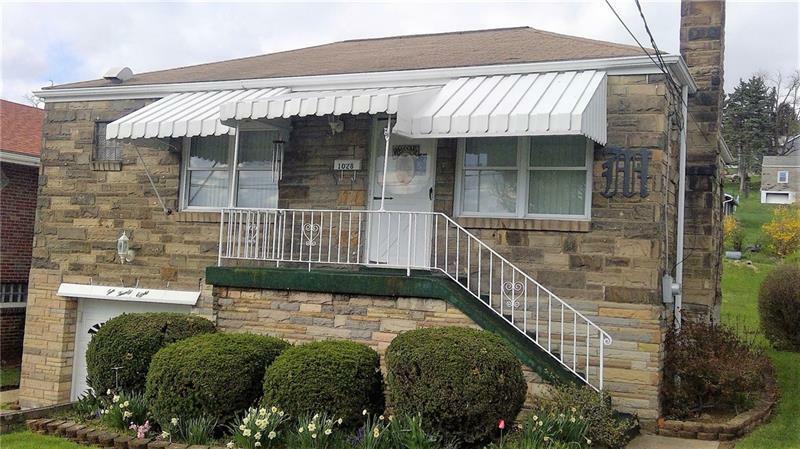 Spacious super clean and DRY walk out basement provides potential for additional living space. Great sized yard for play or gardening. Shed for added outdoor storage and lawn equipment Patio area, at the rear of the home for outdoor entertaining. One integral garage with level driveway. Washer and dryer included. Convenient location. Newer hot water tank. A must see! Hello, I'm interested in 1028 Michigan Avenue.